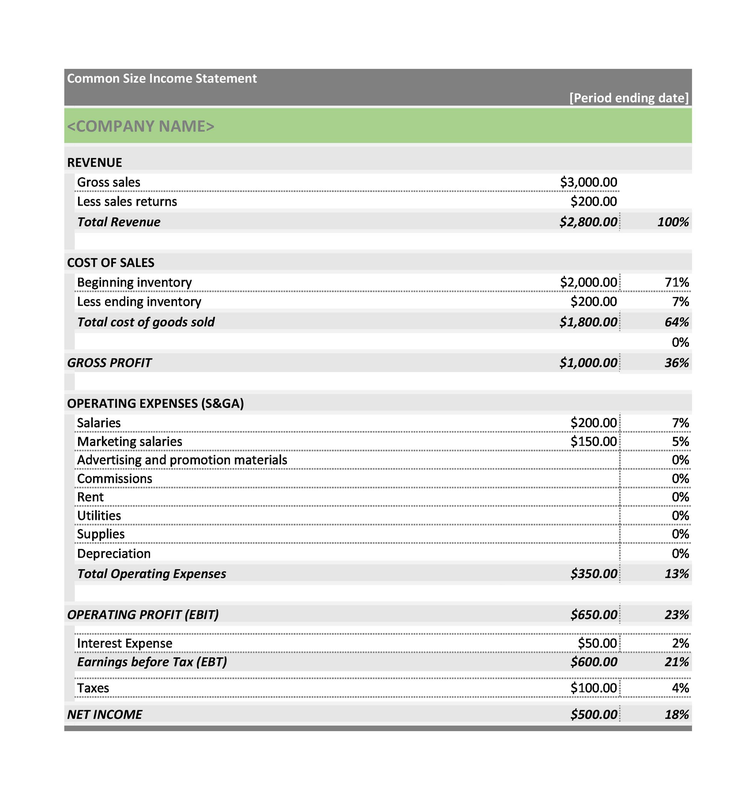 The income statement is one of three key financial statements used by all companies, from small businesses to large corporations. While income statements may seem overwhelming at first, they are an essential part of doing business, and you will soon appreciate the valuable information they provide for your company. When utilized together, the income statement, balance sheet, and statement of cash flows provide a clear picture of your company’s overall financial status, serving as helpful tools for analysis, planning, and decision-making. 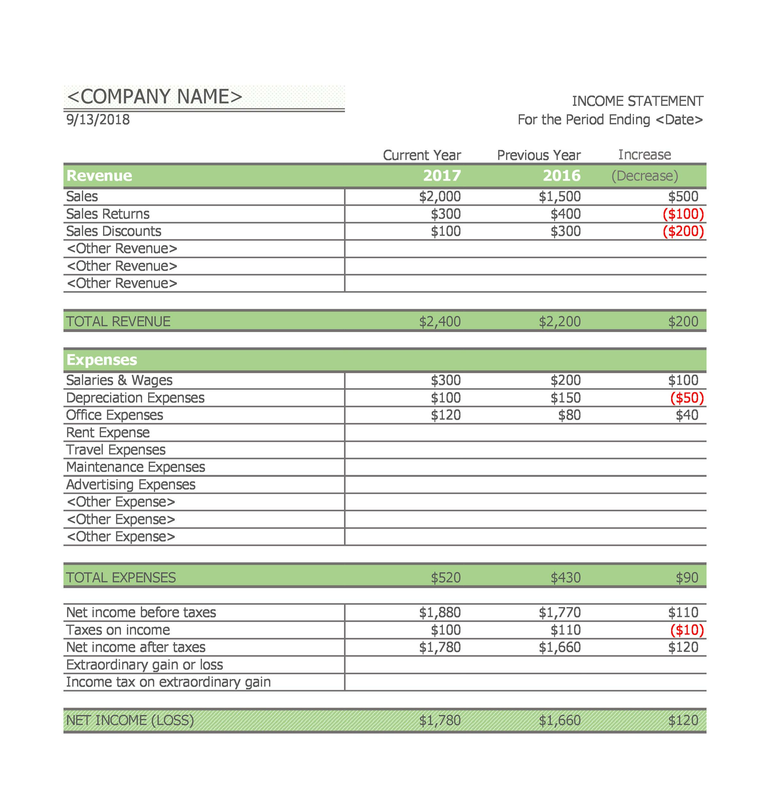 An income statement shows the income and expenses of a company over a specified period of time. Investors and business managers use the income statement to determine the profitability of the company. It is one of three major financial statements required by GAAP (generally accepted accounting principles). A simple way to track expenses and income using one line terms with a single total at the bottom. 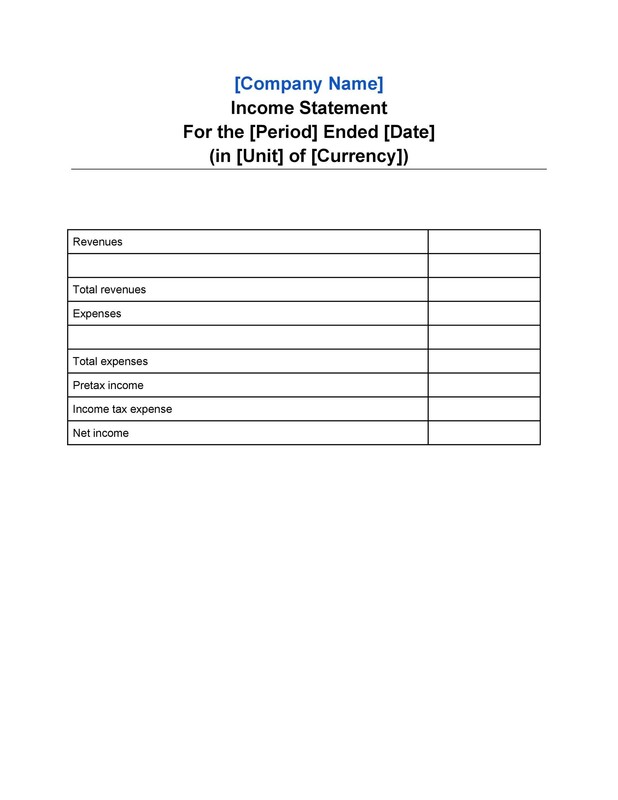 1 What is an income statement? 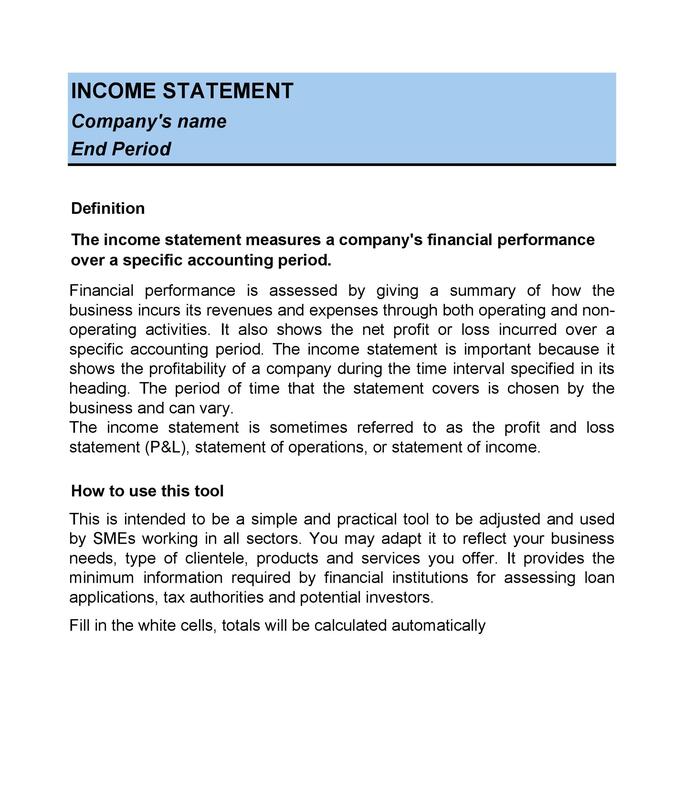 4 What is included in the income statement? 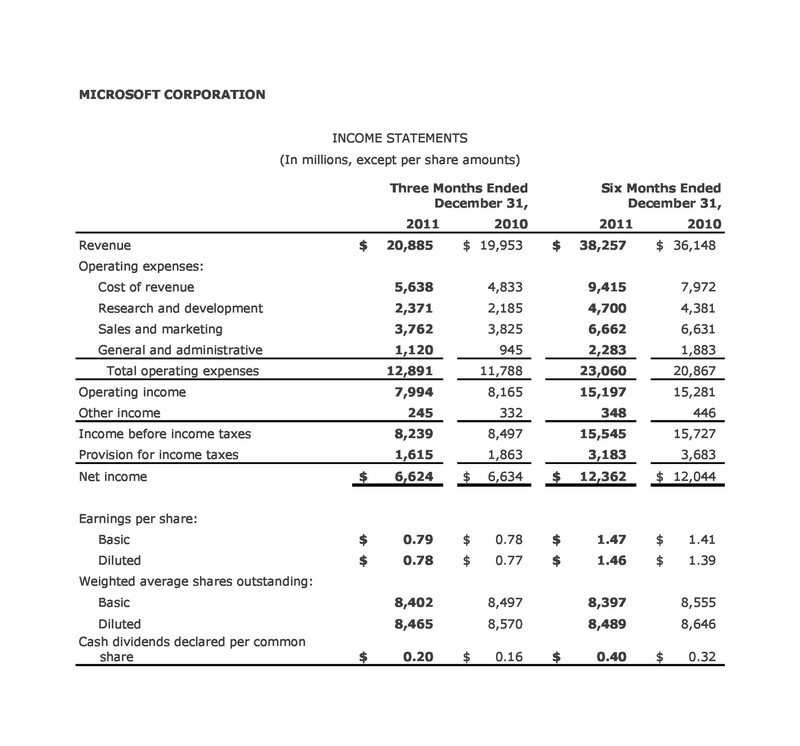 11 What is included in the income statement? A simple or basic income statement may only include income, expenses, and net profit (or loss). 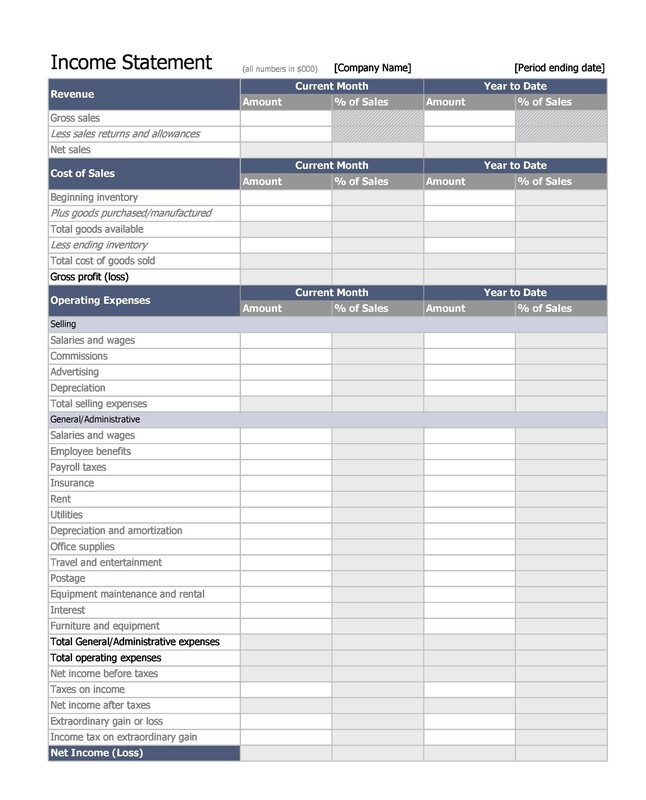 For most small businesses, a simple income statement is sufficient for internal reporting. However, investors may request a more complex income statement. 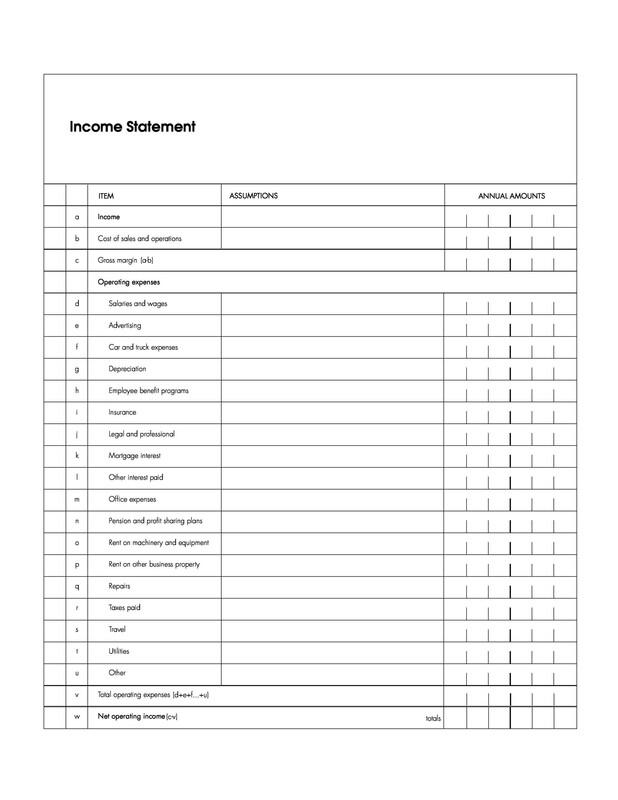 A single-step income statement is a basic income statement that lists all revenues together, followed by all expenses together, with net profit (or loss) as the closing line item. These income statements are often used by both small and large companies. However, they only provide a general overview of the company’s financial position, so many larger companies require a more complex income statement. 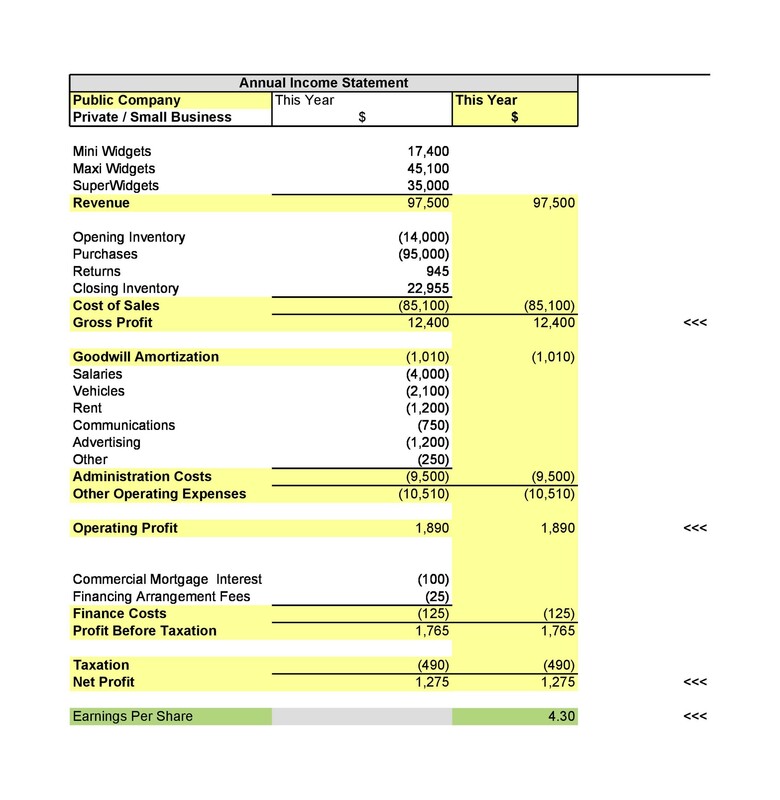 A multi-step income statement is more complex than a single-step income statement, but it also provides a more thorough overview of the company’s financial position. With these statements, operating and non-operating activities are listed separately. 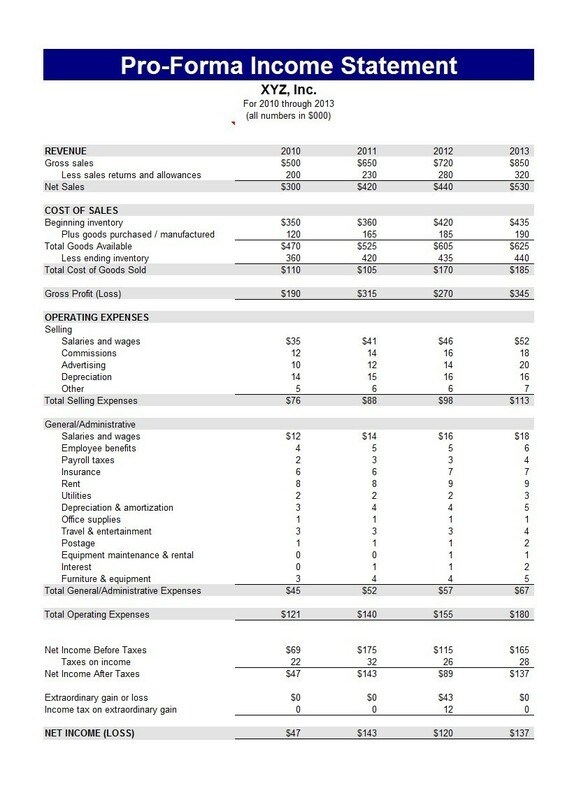 Gross profit, operating income, non-operating income, and net income balancing figures are also listed as individual line items. 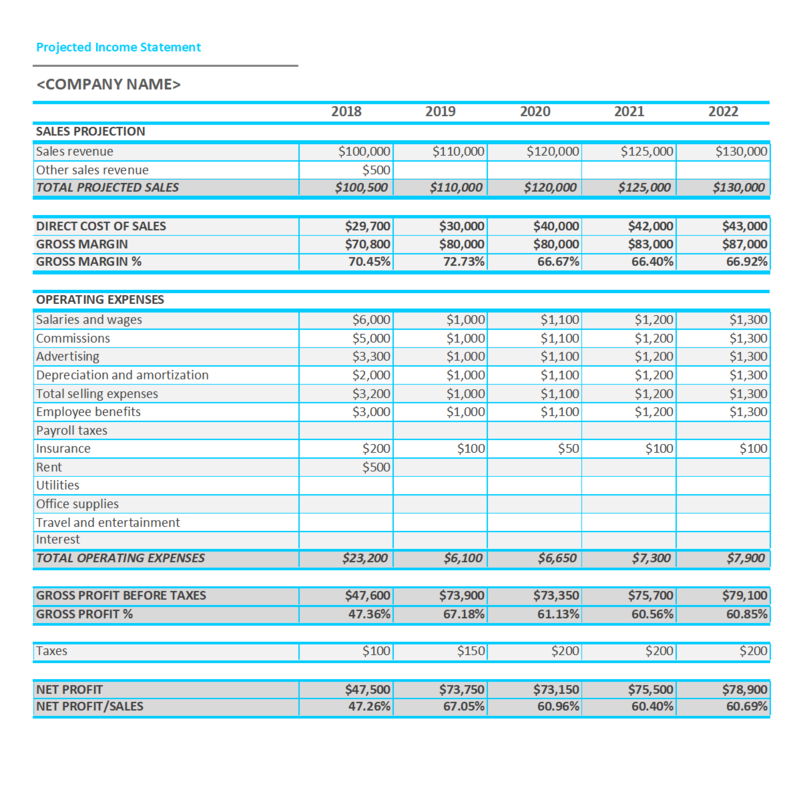 A pro forma income statement is based on projections or possibilities. Companies often use pro forma income statements to forecast what may happen in anticipation of an event. For example, if the company is considering a merger, a pro forma income statement may be prepared to determine the profitability of the merger. 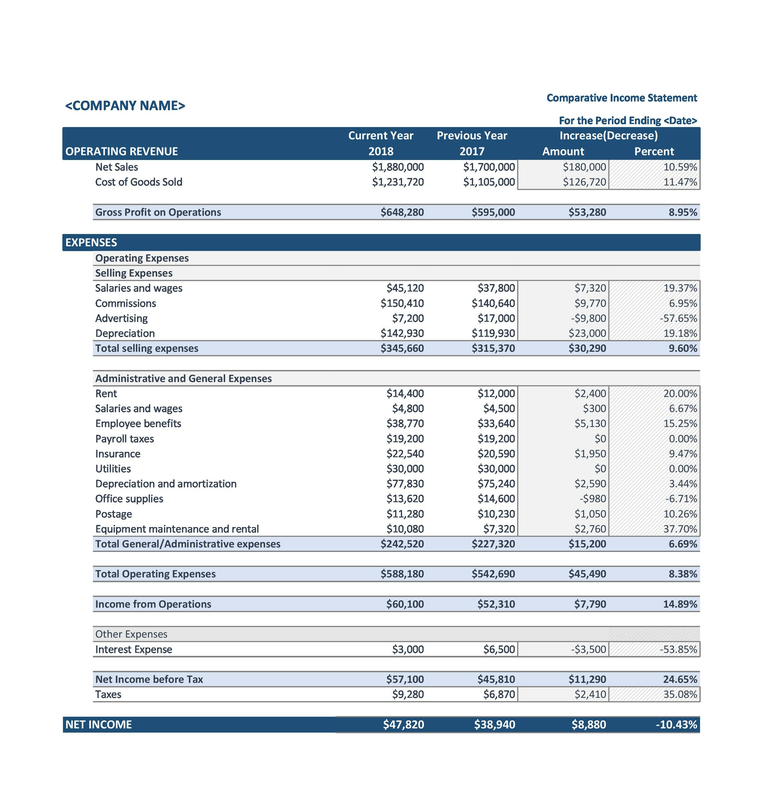 A common size income statement is used to analyze how each separate item on an income statement affects the company’s overall profit. 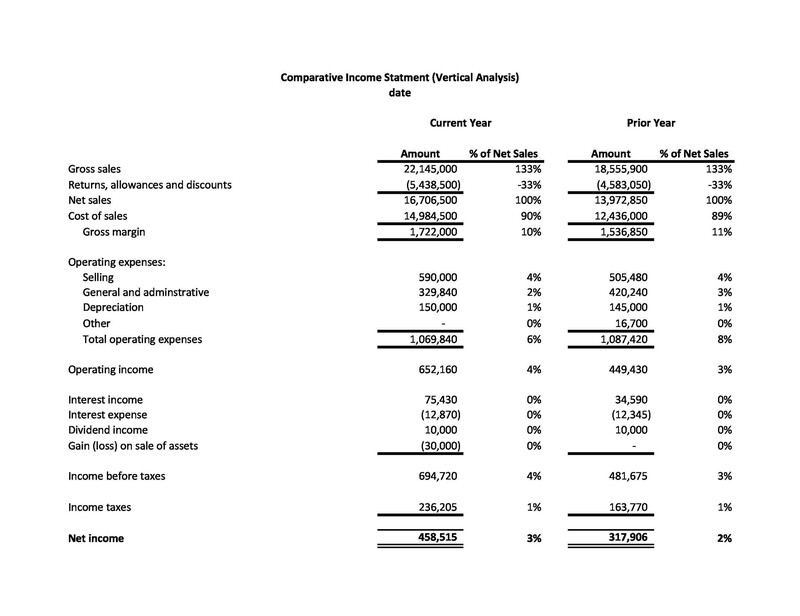 Because these income statements are used primarily for analysis, each account is shown as a percentage of the total value of sales rather than an actual dollar amount. A product’s contribution margin is the unit price minus all associated variable costs per unit. A company’s total contribution margin includes all earnings available to pay for fixed expenses. If there are any earnings remaining, the difference is considered profit. 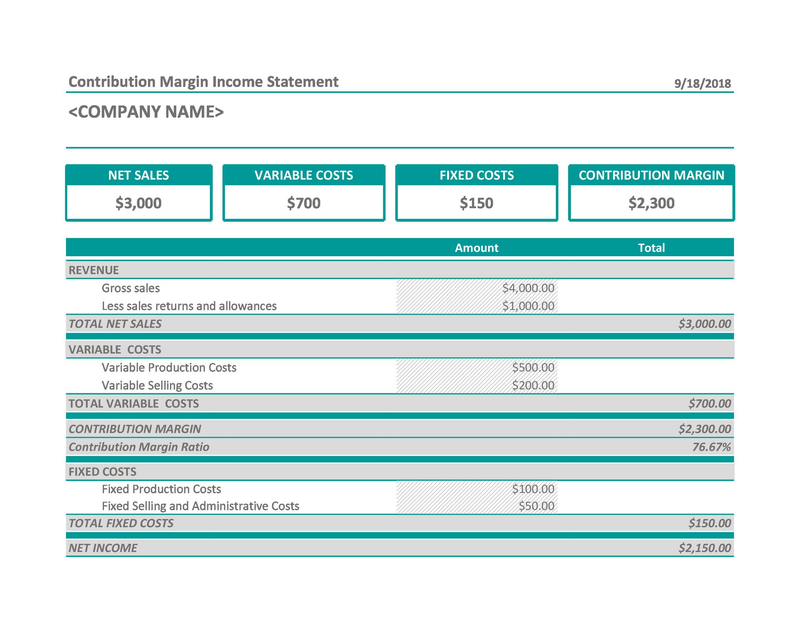 A contribution income statement is generally only used for internal reporting as a tool for planning and analyzing product costs. It is helpful for determining a company’s “break-even” point. Absorption costing is the standard format for income statements. It is the required format for external reporting according to GAAP. 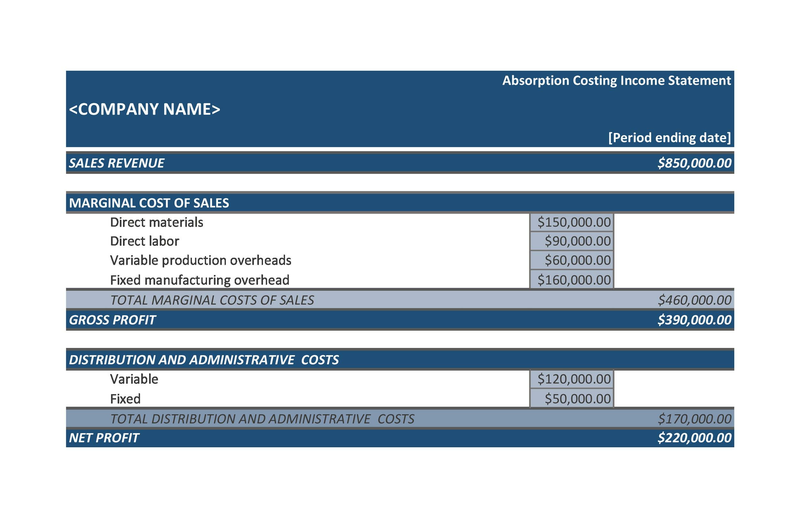 With absorption costing, all manufacturing expenses are considered part of product costs. Companies sometimes use variable costing for internal reporting of financial statements. With variable costing, only direct costs (materials, labor, overhead variances) are considered part of product costs. The remaining overhead manufacturing expenses are considered periodic expenses and deducted from the gross profit for that period. A partial income statement is a special type of income statement that only reports financial information for a specific period of time. “Partial” does not refer to the information provided within the income statement because these income statements typically report all the same information as a full income statement. Instead, the term “partial” is used because these income statements are only used to report part of a typical financial period. Cost-Volume-Profit income statements are specialized internal financial statements used to analyze the profitability of various production scenarios. The format may vary from one company to the next but typically includes fixed expenses, variable expenses, revenue, and contribution margins. A segmented income statement shows the same information as a standard income statement, but only for a specific segment of the company. For example, the segment might be a particular product line or branch of the company’s overall operations. These income statements are typically used to determine the profitability of a certain segment of a company. 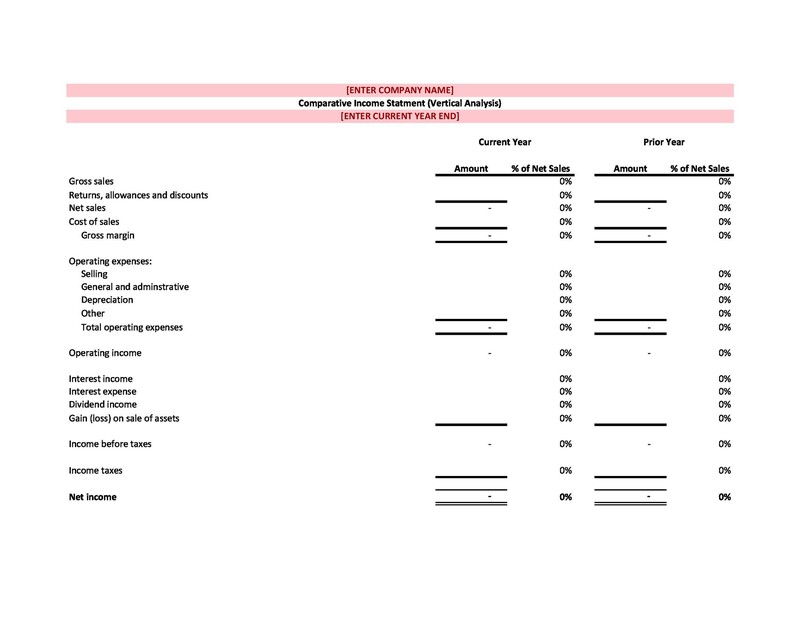 Management may use a segmented income statement for analysis and decision-making, such as whether it is in the company’s best interests to drop a product line or close a branch. A comparative income statement compiles income statements for multiple periods into one document using separate columns for easy analysis. For example, a comparative income statement might include the months of January, February, and March, with separate column headings and a full income statement prepared for each month. Using this information, management can easily spot dips and surges in revenue, expenses, and overall profit over the course of time. 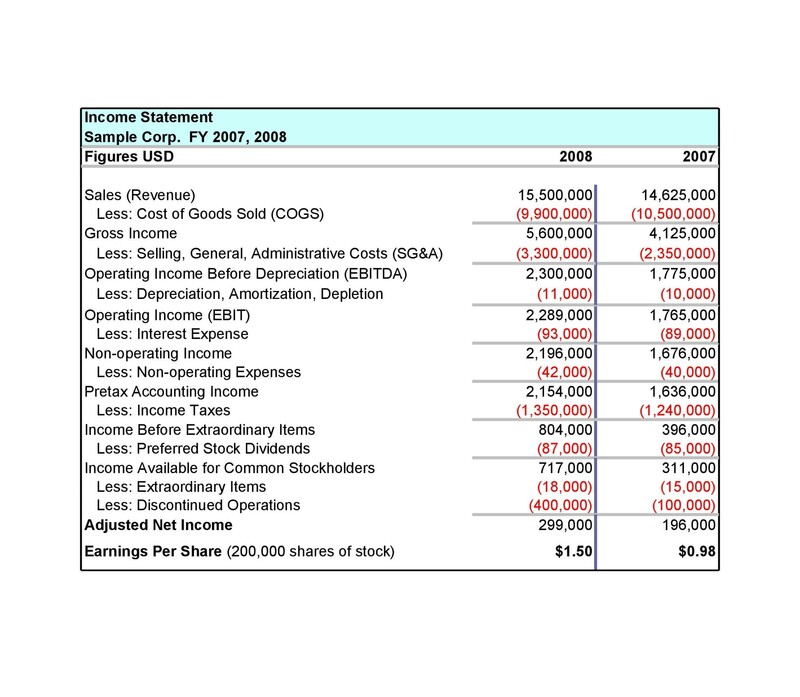 A projected income statement is used for budgetary purposes. 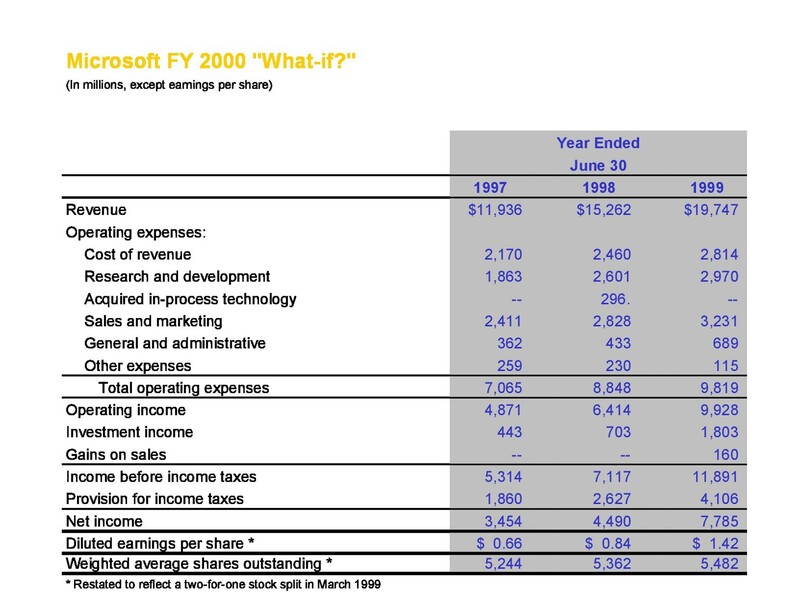 Instead of using historical numbers from a certain period of time, this type of income statement uses projected figures for a future period. It is prepared similarly to a pro forma income statement, but they are not the same type of document. A pro forma statement uses projections based upon a possible event, whereas a projected income statement assumes operations continue as usual. A parent company with subsidiaries may use a consolidated income statement to show an overview of the entire company’s financial position as a whole. 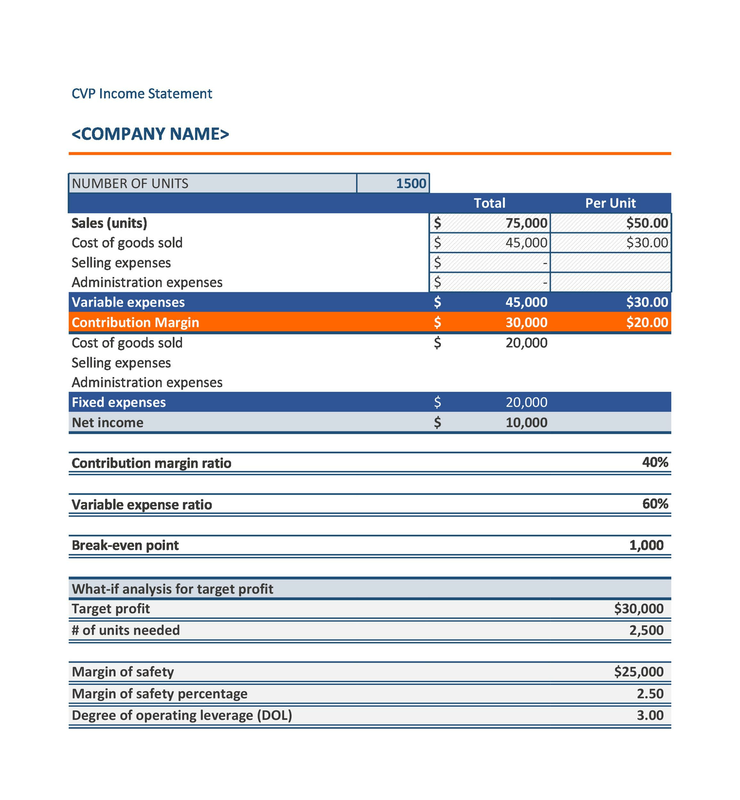 With this type of income statement, the revenue, expenses, and income of the parent and all its subsidiaries are combined together into one document. 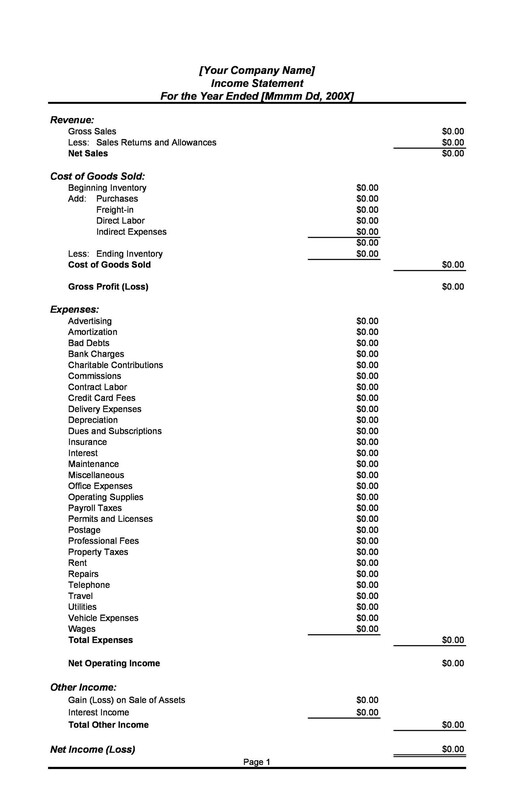 What is included in the income statement? Revenue: Revenue is the income a company receives during the stated period. This should include income from all sources. Expenses: Expenses include any cost the company incurs during the stated period. This includes COGS (Cost of Goods Sold), operating expenses, etc. Gains/Losses: Gains and losses from non-operating activities are also included. These are usually investment-related activities, though other gains and losses may be included as well. There are two primary ways to prepare an income statement. 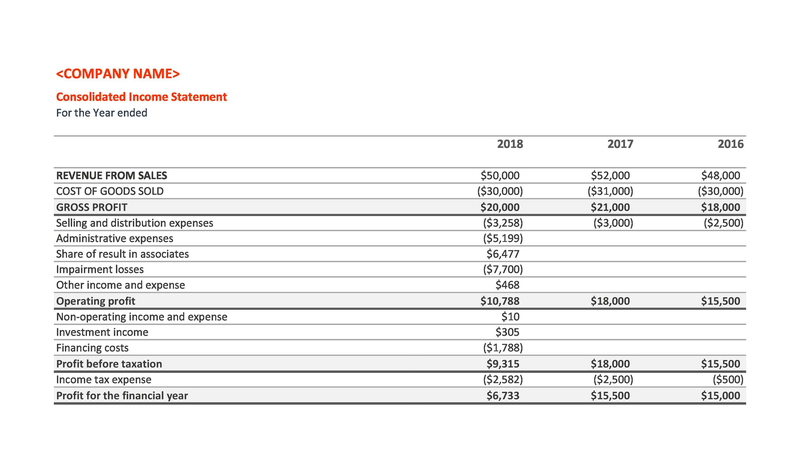 The single-step income statement is simple to prepare and offers an overview of the company’s financial position. The multi-step income statement is a little more complicated to prepare and offers a more detailed view of the company’s financial position. Revenues: All of the company’s revenues (or income) should be summarized and totaled first. Expenses: Next, all of the company’s expenses should be listed and totaled. 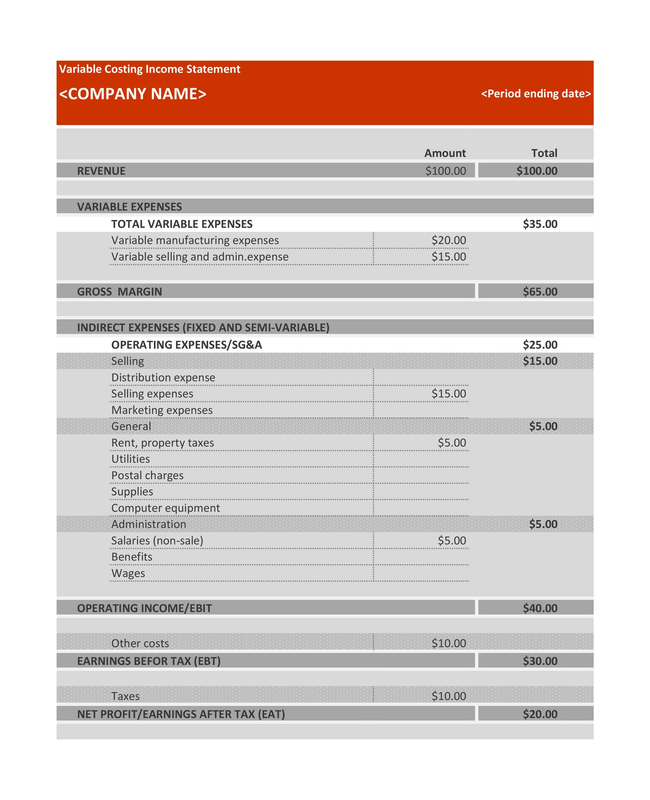 Larger companies or companies that sell tangible goods usually use the multi-step income statement, which provides more detail about income and expenses from specific activities. 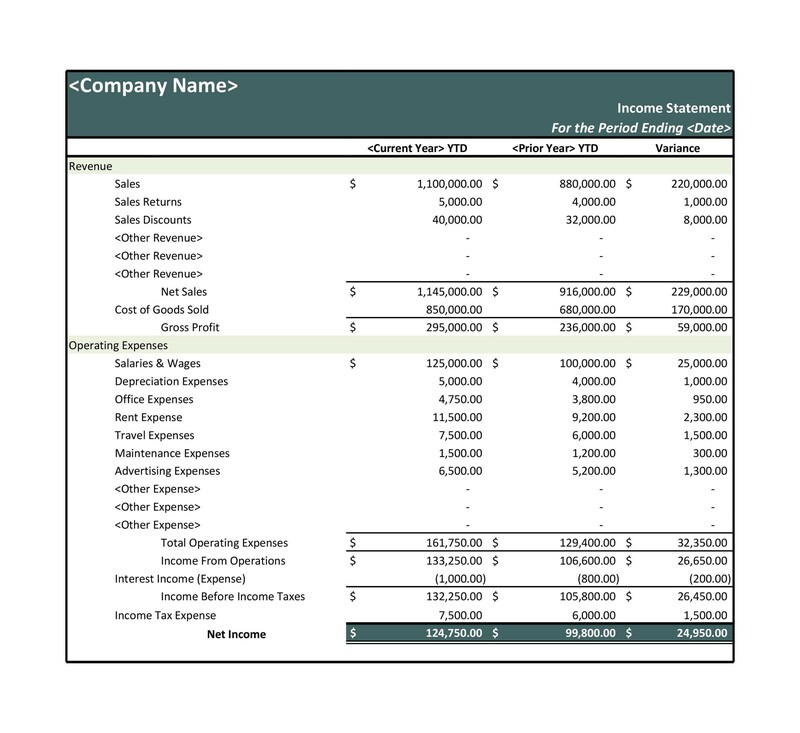 With a multi-step income statement, operating revenue and expenses are separated from non-operating revenue and expenses. 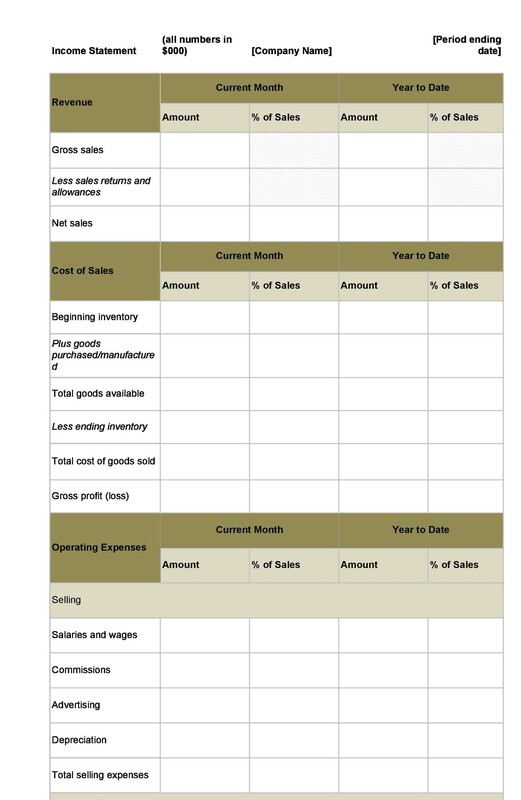 A multi-step income statement also includes a line item for gross profit. Sales: The total sales of the company, the Cost of Goods Sold (COGS), and the resulting gross profit. 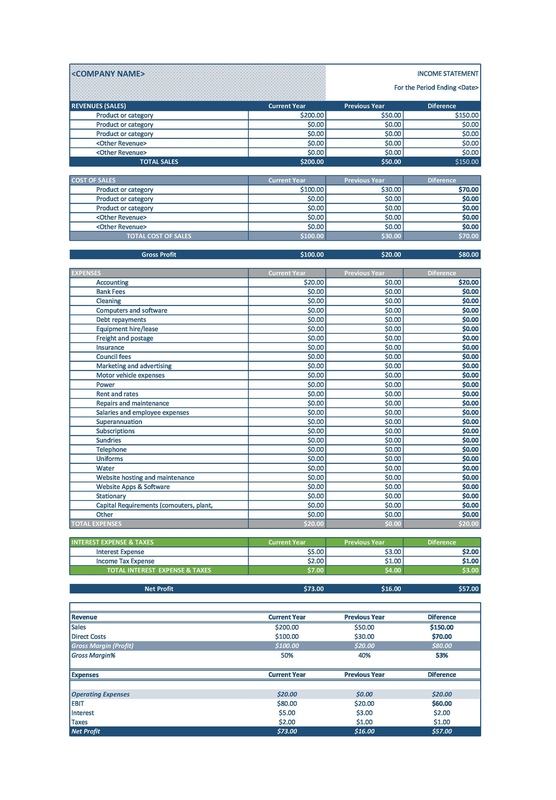 Operating expenses: A breakdown of all of the operating expenses of a company, which includes Selling, General, and Administrative Expenses (SG&A). 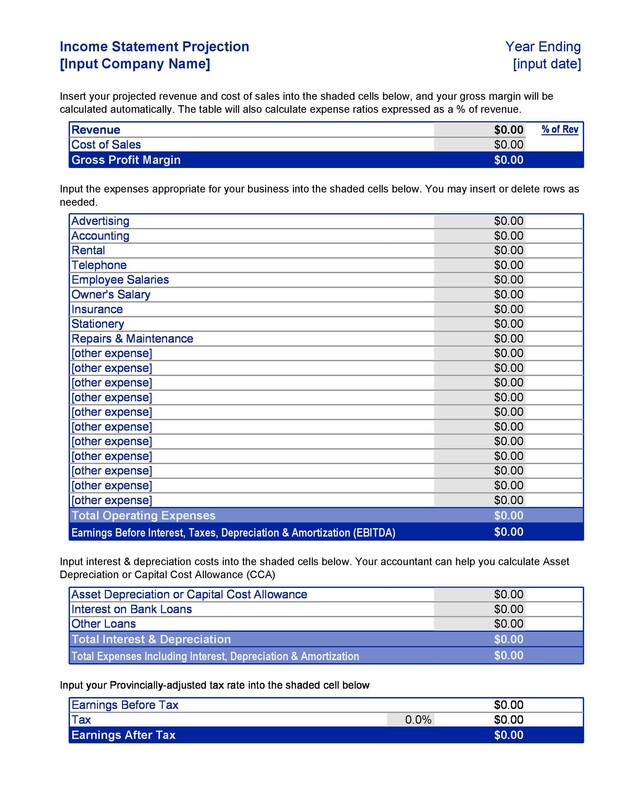 Operating income: The difference between gross profit and total operating expenses. Non-Operating/Other: Any revenue, expense, gain, or loss related to non-operating activities, such as investments. Net income: Any resulting net profit or loss calculated as a total of operating income plus non-operating income. Objective The objective is to present the summary of expenses and incomes for the accounting period concerned. The objective is to present the financial position at the end of the accounting period. Balancing Figure The balancing figure tells the result of business operations (profit/loss). The balancing figure includes personal accounts, real accounts, and those nominal accounts which are capital in nature and need to be written off over a period of time. Nature It is dynamic in nature because it lists the expenses and incomes for the stated period. It is static in nature because it lists the balances of assets and liabilities at a given point in time. There is no difference between the P&L (Profit and Loss) Statement and the Income Statement. The terms are used interchangeably. Objective The objective is to provide a concise overview of a company’s profit/loss for the stated period. The objective is to give a more detailed view of a company’s profit/loss for the stated period. Balancing Figures The balancing figure tells the total net profit or loss for the company for the specified time period. The balancing figure tells the total net profit or loss for the company for the specified time period. Other figures also specify the gross profit, operating income, nonoperating income, and operating expenses. Preparation All revenues are listed together, all expenses are listed together, and the difference between the two is listed as the net profit or loss. Operating and nonoperating activities are listed separately with gross profit, operating income, non-operating income, and net income as individual line items. Objective All manufacturing expenses are considered part of product costs. Only direct costs (materials, labor, overhead variances) are considered part of product costs. Preparation Overhead manufacturing expenses are considered part of the unit cost and deducted from the selling price of the product. Overhead manufacturing expenses are considered periodic expenses and deducted from the gross profit for that period. Result Product costs will be higher using this method. Product costs will be lower using this method. GAAP Required by GAAP for external reporting. Usually used for internal reporting only. Objective The objective is to show the actual cash received and spent within a stated period of time. The objective is to present the summary of expenses and incomes for the accounting period concerned. Balancing Figure The balancing figure tells the current liquid assets of a company at a certain point in time. The balancing figure tells the result of business operations (profit/loss). Nature It is static in nature because it lists the balances of liquid assets at a given point in time. It is dynamic in nature because it lists the expenses and incomes for the stated period. 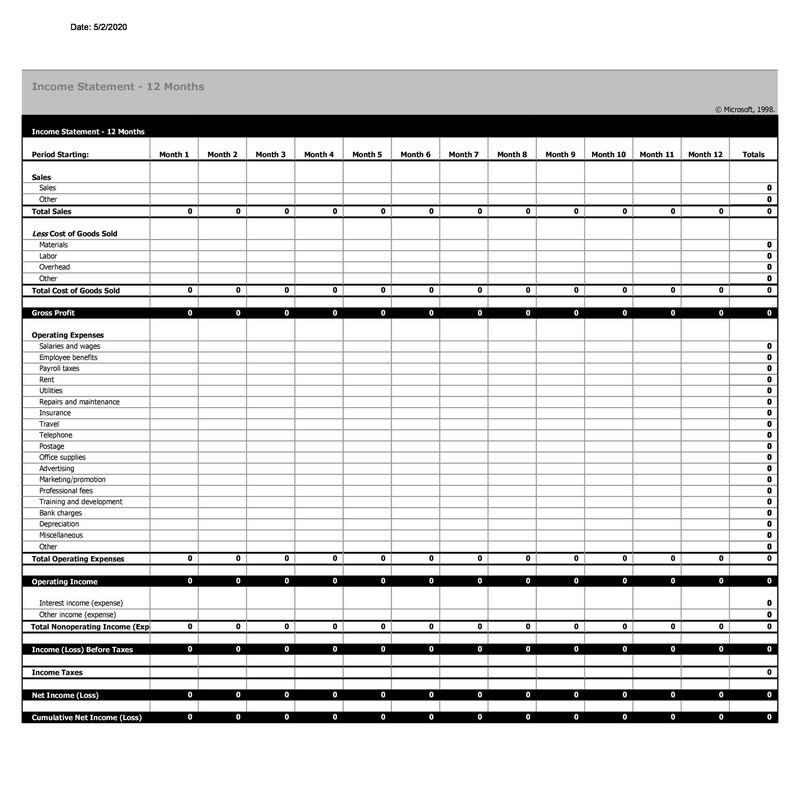 What is the order of the subtotals that appear on a multi-step income statement? 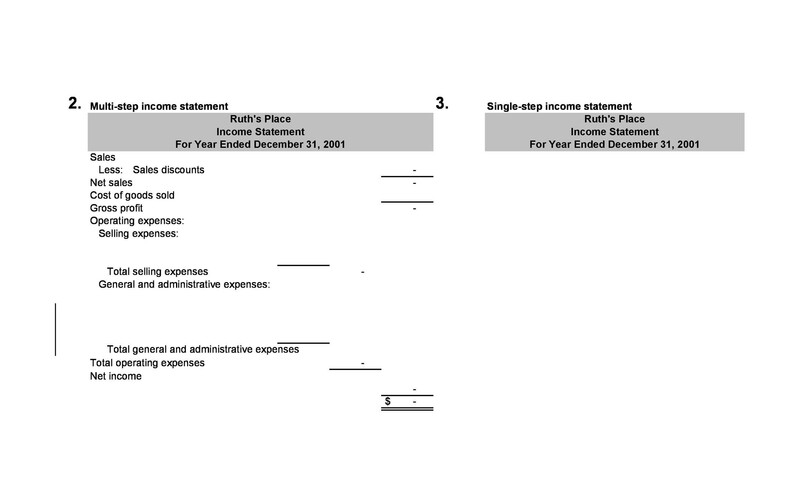 Where are selling and administrative expenses found on the multi-step income statement? 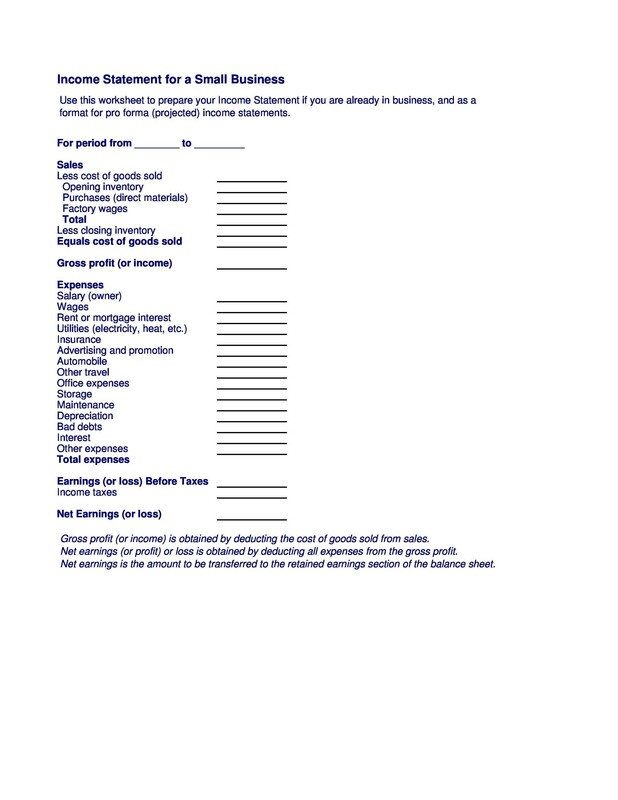 Selling and administrative expenses should be listed as individual line items under operating expenses. 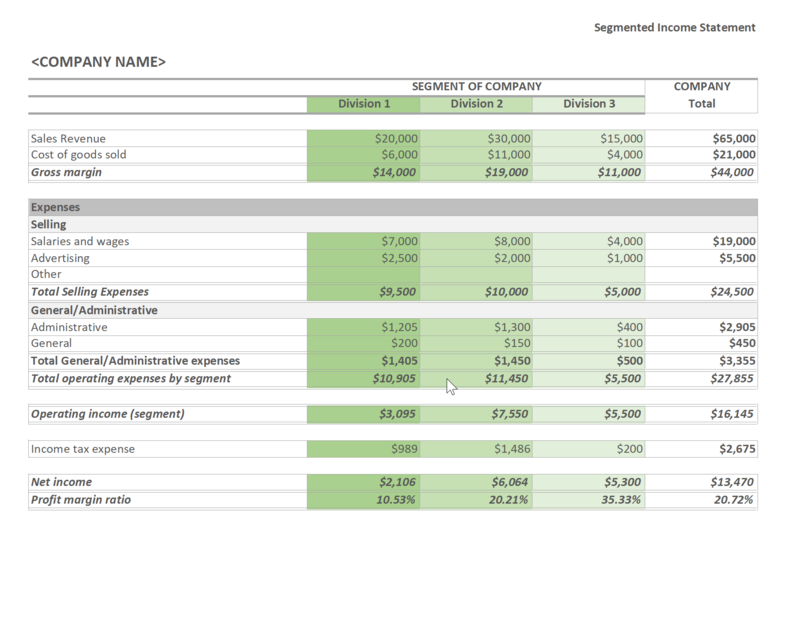 What is an advantage of using the multi-step income statement? The primary advantage of the multi-step income statement is the amount of information it provides. Unlike the single-step income statement, the multi-step income statement includes gross profit and separates operating income from non-operating income for clearer analysis. How do you calculate COGS (Cost of Goods Sold) for an income statement? Where is depreciation expense found on the income statement? Depreciation expense is listed under “Expenses” on a single-step income statement and listed under “Operating Expenses” on a multi-step income statement. 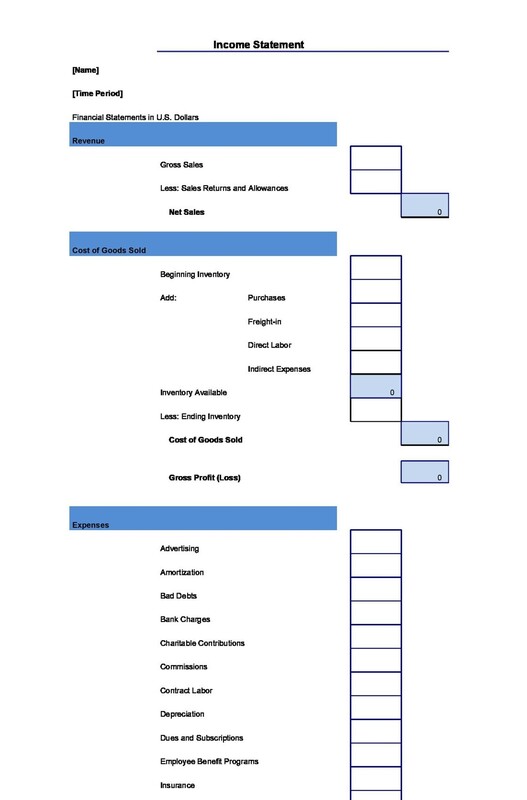 Where is interest expense listed on the income statement? 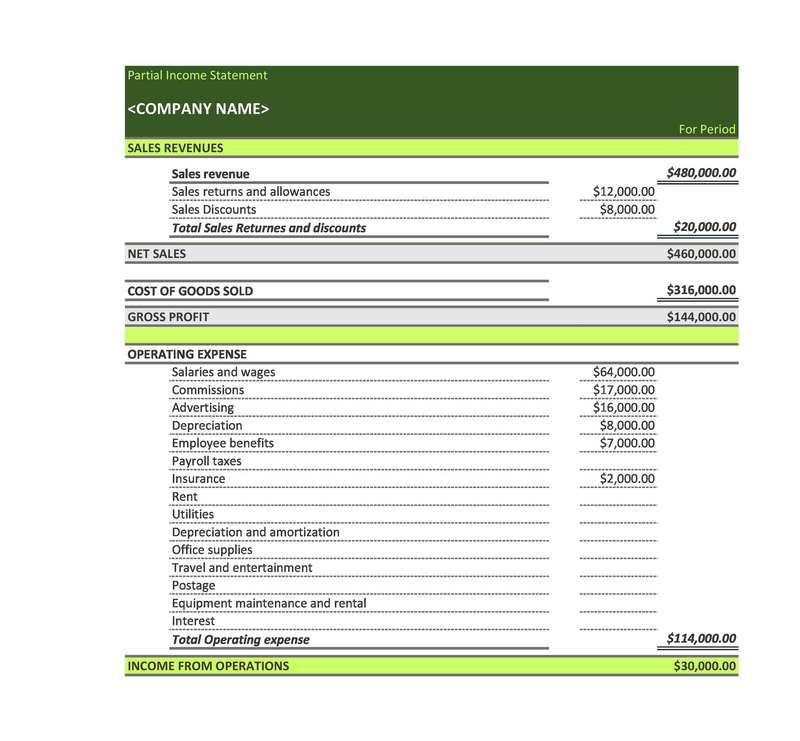 Interest expense is listed under “Expenses” on a single-step income statement and listed under “Non-Operating or Other” on a multi-step income statement. 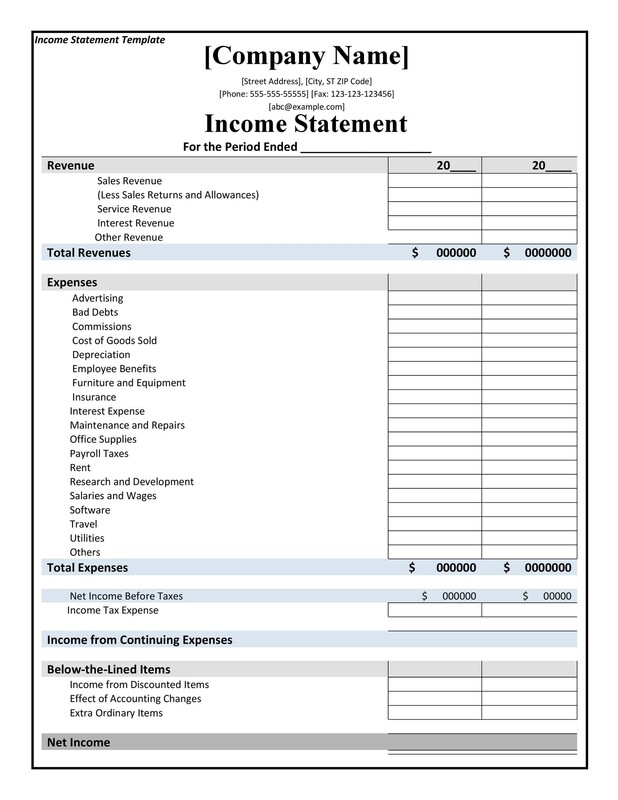 How do you calculate interest expense for an income statement? Where is bad debt expense reported on the income statement? Bad debt expense is listed under “Expenses” on the single-step income statement and listed under “Operating Expenses” on the multi-step income statement. 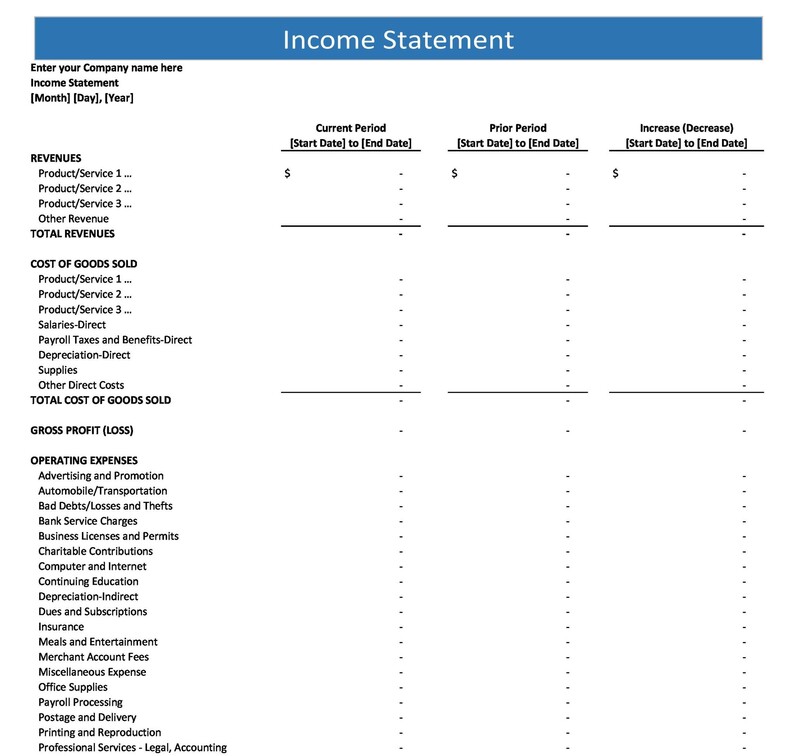 What time period does an income statement cover? 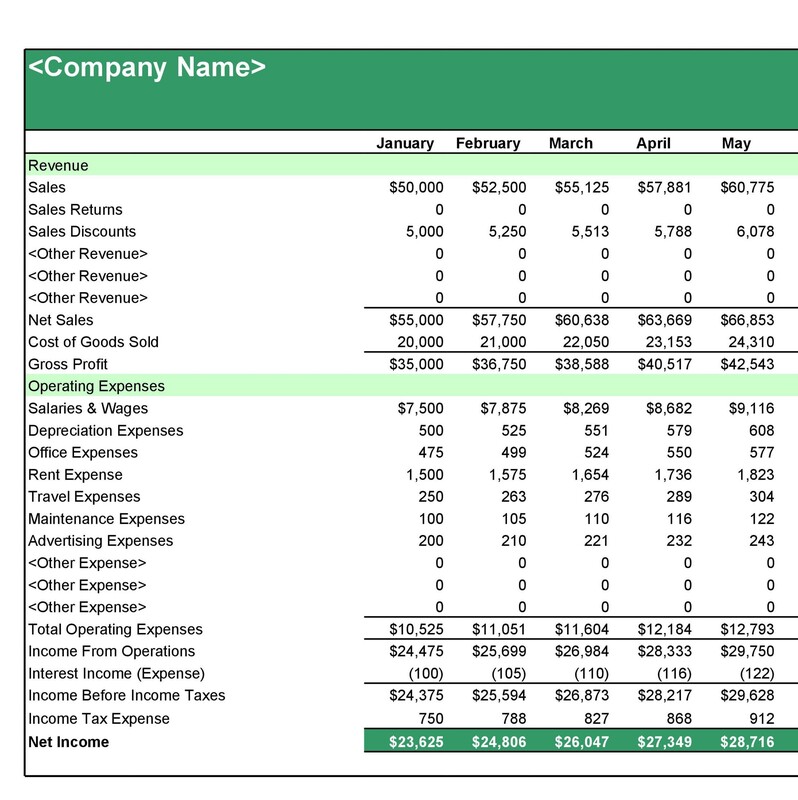 An income statement may cover any specific time period, from a day to multiple years. Most companies prepare income statements quarterly or yearly. However, it’s not uncommon for businesses to prepare income statements more often. 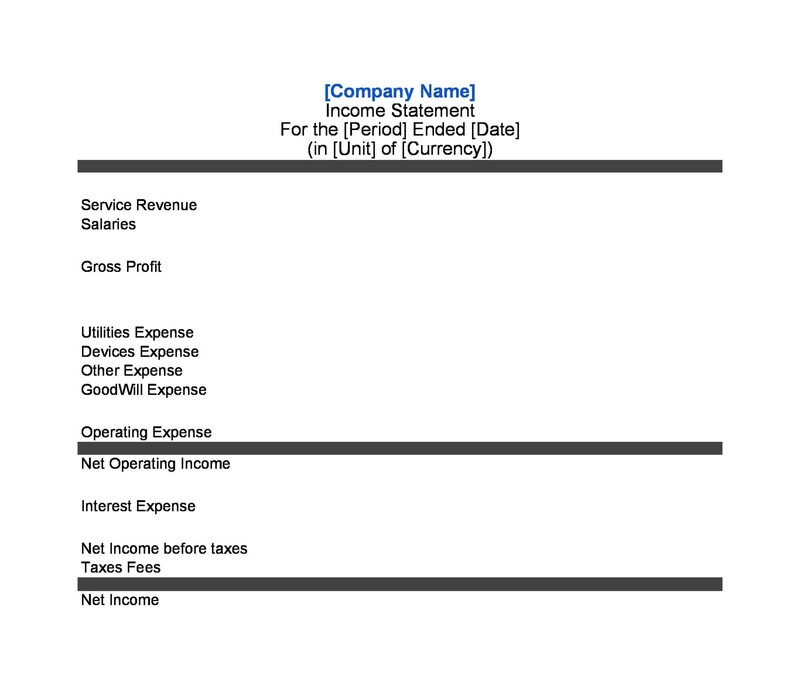 Why is the income statement important? 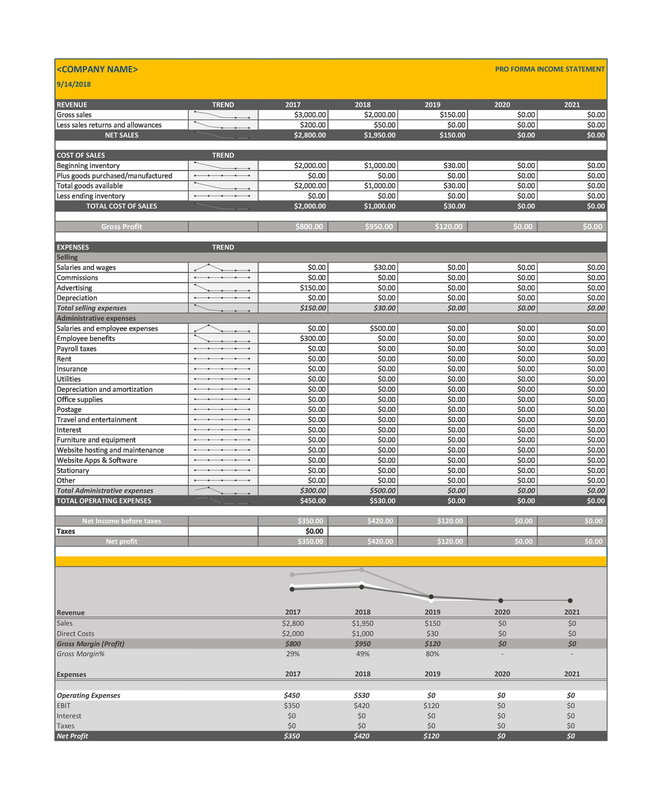 The income statement shows the overall financial performance of a company within a stated period of time. It is arguably the most important financial statement and is often used for analysis and planning of all aspects of the business. A financial statement is often the first document prepared for both internal and external reporting because it gives the best overall picture of a company’s financial health and viability. 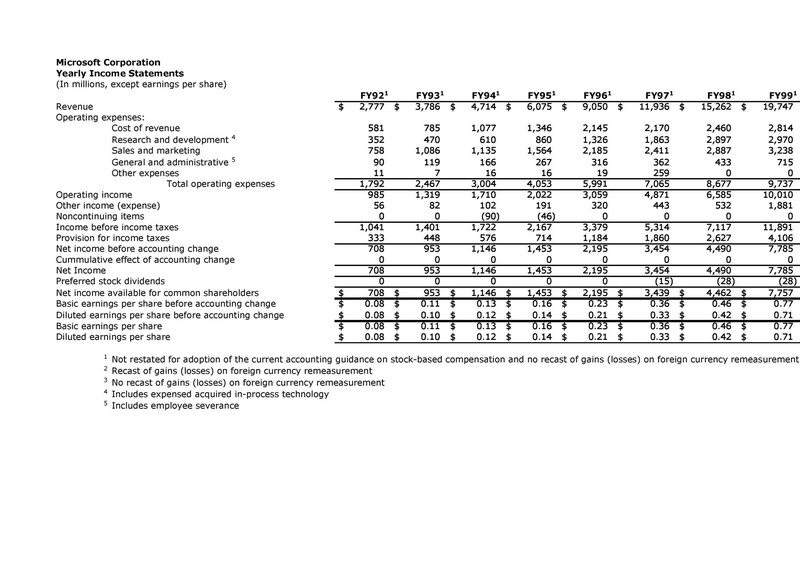 How is the income statement of a merchandising company different from that of a service company? The income statement for a service company is generally less complex than the income statement for a merchandising company. A merchandising company may include COGS, refunds and returns, discounts, and more. Because a service company does not deal with tangible materials, these sections are unnecessary. However, a service company may have other expenses to consider, such as travel, promotional materials, etc.